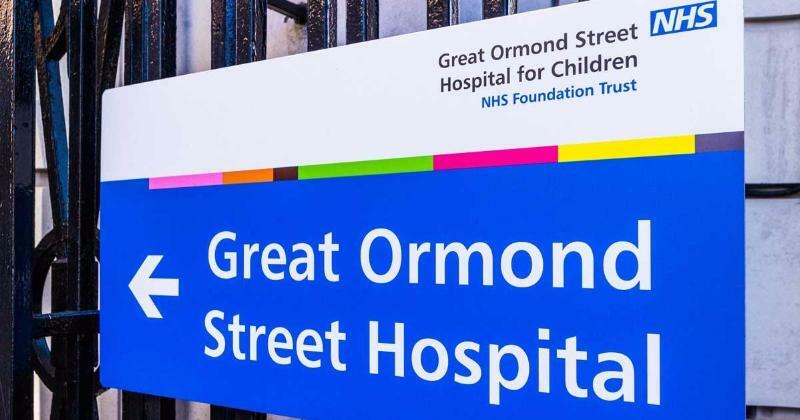 Last week I visited Greg Fellowes, Service Support Manager, and Hayley Gordon, Senior Service Desk Systems Administrator at Great Ormond Street Hospital (GOSH) to chat about their progress with Hornbill Service Manager. It was incredibly refreshing to hear them express a deep understanding of the needs of different business units, and the specific requirements of the IT teams that support them. My next blog will explain how GOSH IT teams’ service-centric approach has delivered vast improvements since the service desk function was taken back in-house, less than a year ago. For now, I asked Greg to answer a few questions about the part Hornbill Service Manager had to play in this transition, and this is what he told me. Can you give me a brief background of who you are and what your role is at GOSH? I’m Greg Fellowes, and I’m the Service Support Manager at Great Ormond Street Hospital for Children. I’m responsible for the ICT Service Desk and Endpoint teams across the Trust. I’ve been here just over one year and joined GOSH to bring the Service Desk back in house from an outsource partner. I work with Hayley, who looks after Hornbill Service Manager, just one of things she does so well. Which Service Desk tool was in place at GOSH before you deployed Hornbill Service Manager? Our Service Desk was outsourced to an external supplier, who used ServiceNow. GOSH had originally decided on Supportworks for their new ITSM tool. When I joined, I switched that to Hornbill Service Manager, which was a good decision! There were a number of contributing factors for the change, mainly that we are implementing our new Electronic Patient Records (EPR) System over the next 18 months. GOSH wanted to ensure the Service Desk was closely aligned to the new system. We needed full control of our Service Desk and the supporting teams, and the ability to customise the ITSM tool to fit the delivery of EPR, to ensure the service is the best it can be. Having used Supportworks in a previous role, the change to Hornbill was a simple choice. I asked the project board to review Hornbill Service Manager and the response was the same. We wanted Hornbill…we had to have it. The IT Team who were responsible for the shortlisting under the tender process reviewed a number of ITSM tools. The shortlist comprised of Sunrise, Supportworks, ServiceNow, Cherwell and IT Custodian. I’ve worked with a number of different ITSM tools and Hornbill has been the easiest application to build and maintain by a mile. The 30-day switch-on, the training and the knowledge transfer have all allowed GOSH to continue to build and develop the Service Desk on its own. When we get stuck the Hornbill Community always delivers the answer. Hornbill were great. They did all they could to accommodate the change of product to Hornbill Service Manager so late in the day before go-live at the start of this year. Our switch-on consultant was brilliant. Our decision to switch applications did put us up against it, but that was my fault. However, there’s nothing like a bit of pressure to deliver the best from people. I say I, but it’s not really I, it’s We. We got the Service Desk up and running and it went live on time. I’m not saying it’s been a walk in the park since, we have had other issues affecting the service, but none of these are Hornbill related. Having overcome the other problems, we’ve been able to build on the switch-on configuration and are now customizing Hornbill to do bigger and better things. The team are now performing well and delivering a good service to their GOSH colleagues. We aim to make this even better in the future using other Hornbill features. If it had gone wrong, well then, it would have been I. All is well so far, we have other teams across GOSH now wanting to use Hornbill, so we must be doing something right. 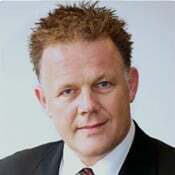 We have Information Governance using their own Change Process, Procurement will shortly start using Service Manager for their own customised Service Processes. We now handle 90% of our changes using the e-cab change process in Hornbill, giving time back to the CAB Team. Hornbill made the last-minute switch of products easy. The service has been professional from start to finish. The fact we have become 99% self-sufficient in the ability to manage our own Service Desk tool without the need of consultants every time we want to deliver improvements and add functionality, means that Hornbill are doing something right. Hornbill Service Manager itself is flexible, adaptable and scalable to meet our needs, evidenced by its adoption into other areas of the Trust. Hornbill listen to their customer base, features and enhancements suggested get considered and have been put into updates. Listening to your Customers is the best way to make what you do even better. Just one, that’s hard, I have a list!What do I want? The flexibility to add additional fields for the EPR implementation, but we are going to talk to Hornbill about that. I want better built in reporting and scheduling. I want to be able to publish live dashboards without consuming a full user license. I want a test system separate from our live instance. I want to lock down priorities to ticket type, we have different SLAs for Incident and Request and people use them incorrectly…I can go on. Hornbill are doing an excellent job with their product. Don’t lose focus on what you are doing, as we can’t do what we do without you. Figure out ways to give me all the things that will make my service better and allow my teams to deliver the best service we can for our patients. We’re here to ensure ‘The Child is First and Always’ and we need Hornbill to help us do that. Thanks Greg for sharing your thoughts. The GOSH IT organization understands its' purpose. Teams focused on delivery and improvement of IT services, so that the hospital can ensure that “The Child is First and Always”. And it’s great to know, that in some small way, we can help support that.